Ethiopian cuisine, one of the world’s most ancient cuisines, dates back to more than 2,000 years ago. It has been known for its self-sufficient agricultural products, including unique grains such as sorghum and teff, which form the basis of the Ethiopian diet. Over time, Ethiopian dishes have developed independently, with limited influence from outside civilizations, such as the Egyptians and Arabians, who introduced spices and chilies. Although Ethiopian dishes may appear to be a combination of dishes from around the world, once you eat some of these four items, you will realize that they are actually one of a kind in preparation and flavors. Injera in a basket, a key part of a traditional Ethiopian meal. 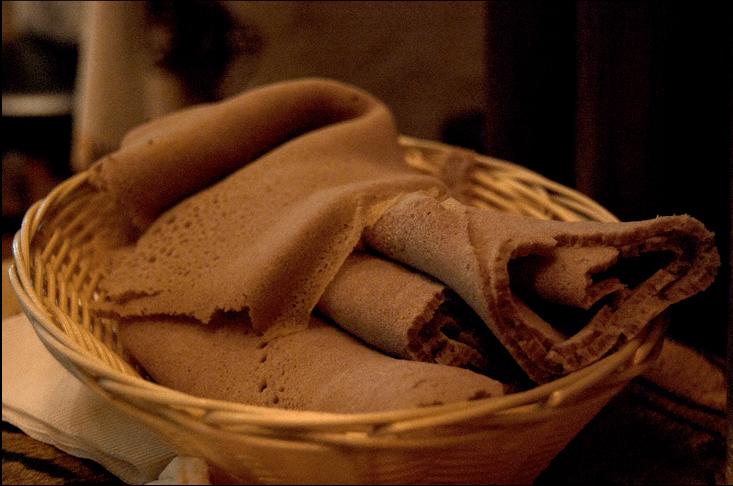 A national dish of Ethiopia, injera is a unique type of sourdough flatbread with a spongy texture. It is made from teff flour, which is renowned as a great source of iron and is typically eaten with accompanying side dishes and main courses. One of the dishes accompanying injera, wat is the traditional Ethiopian stew or curry. It comes in different forms, such as doro wat (chicken curry stew, shown above), sega wat (lamb curry stew), misir wat (red lentil stew) and key wat (spicy beef stew). Made by sauteing meat and vegetables, this staple comes in a variety of forms: doro tibs (chicken and vegetables), awaze tibs (lamb and vegetables, shown above) and siga tibs (beef chunks with vegetables). 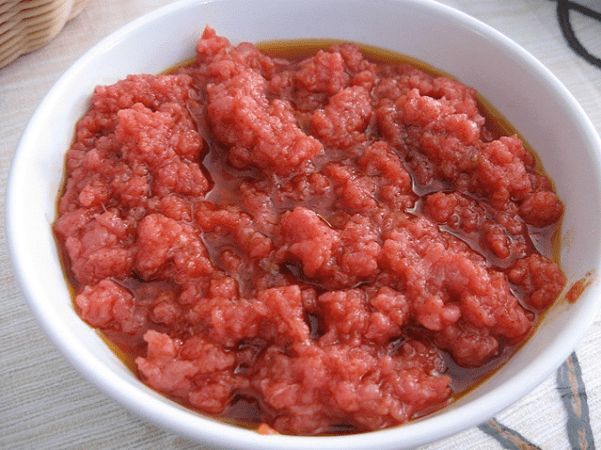 Kitfo, an Ethiopian specialty, is made from marinated raw beef mince in chili powder. It is often served with cottage cheese and spinach, and it is usually paired with injera. If you’re not a fan of spice or if you prefer your meat more cooked, there are always great adaptations of kitfo that are equally delicious.